They’re beautiful, rich and famous. They grace the big screen- making us laugh and cry- and awe us with their movie weapon skills and words. They’re splashed across magazine covers, talked about in fan clubs, and interviewed by media personalities across the globe. Many have worked long and hard, sacrificing a lot, to get to where they are today. 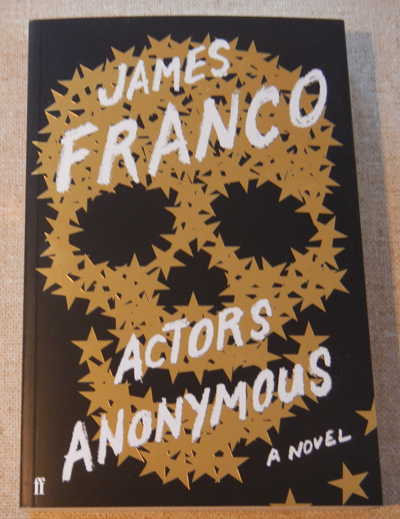 But Hollywood’s stars aren’t just in the business of making films- many of them have creative side-interests that are now being recognised by the general public through the use of books. Below is a list of books that have been produced by some well-known Hollywood actors, showing that the film industry is not the only place where their talents lie. 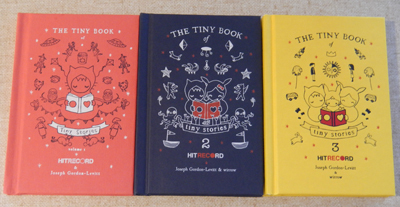 These little books aren’t so much created by Joseph Gordon-Levitt- rather they are a collaboration of pictures and words that have been contributed by numerous people to his production company "hitRECord". This website, which provides a creative outlet for thousands of people, aims to create and develop art and media. If any money is made from the work that is produced, it is split 50/50 between everyone who was involved and contributed to the final production. Gordon-Levitt, and his collaborative partner Wirrow, have so far produced three volumes in their Tiny Book Of Tiny Stories series, which features a mixture of cute and edgy illustrations, and creative lines of text. The pages are designed to make you think- many of the drawings are juxtaposed with the text to lend more meaning to what you are reading. The lines of poetry and random statements are both whimsical and melancholy, and are likely to appeal to people looking for a gift book with a difference. As the people at hitRECord say… ‘The universe is not made of atoms; it’s made of tiny stories’ and you’ll find plenty of those in these unique little books. Drew Barrymore, self-confessed flower child and favourite chick-flick comedienne, has embraced her inner photographer and produced a book of photos that she has taken over the space of ten years. Her subject? Everyday objects and items that are shaped like hearts. This collection is made up of images of hearts that Barrymore has discovered- both natural (a cluster of cacti) and manmade (a cocoa heart sprinkled onto the top of a cappuccino). She includes photos of mundane objects like twisted straw wrappers, patterned rugs and toasted bagels as her way of showing how images of hearts can appear in everyday life and bring a touch of happiness to your day. She accompanies many of the photos with captions, reflecting on the image and the thoughts that were evoked at the time. 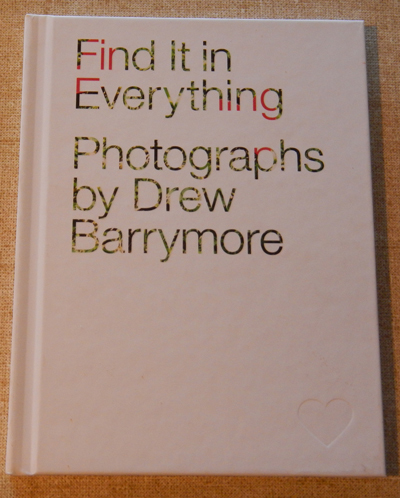 Through her photos, she is trying to ‘find it in everything’, and fans of interesting photography (or just of Drew Barrymore) will appreciate the simplicity of this book. When Oscar award-winning Gwyneth Paltrow was diagnosed with anaemia, Vitamin-D deficiency and high adrenal levels in 2012, she was advised to change her diet to help clear out her system and heal. For a self-confessed foodie, this could have been considered a nightmare- imagine cutting back on or cutting out all of the foods that make you happy? 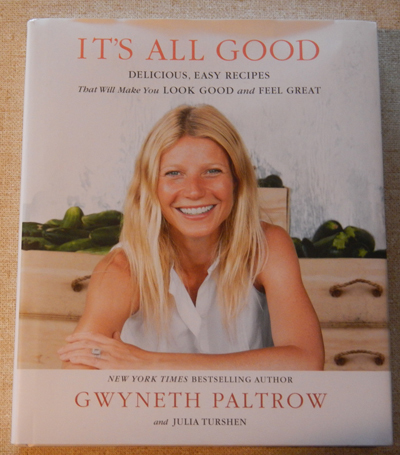 But with the help of another foodie, Julia Turshen (and assistance from sources who specialise in healthy eating) Paltrow was able to create a selection of tasty, inspiring and healthy meals, which she has packaged into this popular cookbook. It’s All Good contains plenty of recipes, over a range of different categories (breakfast, salad, soup, meats, poultry, fish, vegetables, grains, kids, drinks and sweets), and is sure to cater to most tastes. Each recipe is preceded by a little paragraph about how good the meal is (or its popularity in the Paltrow household), and while there are quite a few photos of Paltrow, Turshen and Paltrow’s kids scattered throughout the book, there are also plenty of artsy-looking, softly-filtered photos of meals, vegetables and natural ingredients on the pages too. Towards the back of the book, there are weekly meal plans (using recipes from the book) for people who want to have a body builder week (high protein), a detox week (elimination diet), a family-friendly week, a vegan week or a generally healthy eating week. If you want to change your diet, regain some energy or remove processed foods from your kitchen regime, this cookbook might be just the thing for you. We all recognise Jessica Alba as the hot star of films like Fantastic Four and Sin City, but did you know that she’s also extremely environmentally conscious and does her best to maintain a healthy and toxin-free lifestyle for herself and her family? 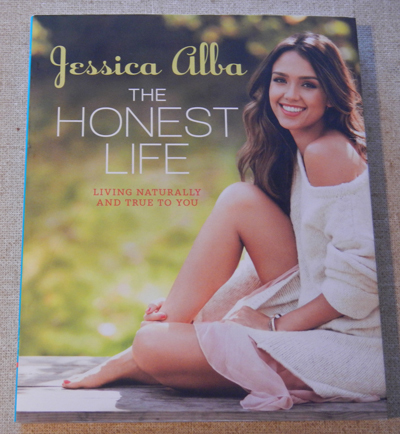 In this book, Alba extols the virtues of living an ‘honest’ life- which means ‘living naturally and true to you’. She has separated her book into several sections- food, beauty, style, cleaning, home, baby and inspirations- and gives plenty of advice and handy hints for those who want to follow her lead. The pages are littered with pictures of her amazingly beautiful young family, as well as plenty of well-researched information (broken down into easy to understand language). Of course, she also plugs (quite a bit I might add) the Honest Company, an organisation she co-founded, which create various products that cater to her natural and ‘honest’ ideals and are free from toxins and chemicals. If you’re looking for a lifestyle change and want to be more eco-friendly, without sacrificing style and comfort, then this book may provide you with all you need to achieve your goal. Known for having one of the most amazing bodies in Hollywood, popular actress Cameron Diaz has decided to put her writing skills to the test and produce a book that celebrates and explores the health and nutrition of every woman’s body. She has separated her book into three parts- nutrition, fitness, and mind- and delves into each section with what can only be described as a grand enthusiasm for each subject. Featuring facts from a variety of experts and sources, and using Cameron’s own experiences to provide a framework, this book is informative and a handy reference for any woman who wants to get the best out of her body. Cameron changed her eating habits fifteen years ago after learning that good nutrition plays an important role in a healthy lifestyle. This ‘non-diet book’ is aimed at educating women of all ages and providing a long-term approach to a strong and healthy life.